1. Recycle! nowadays, it’s easy to recycle; we keep a bin right next to the garbage can for newspapers, takeout containers (always wash ’em first! ), and other recyclable materials. it makes for much less gross garbage duty, and it’s an easy way to feel like we’re doing our part. 2. Reduce! 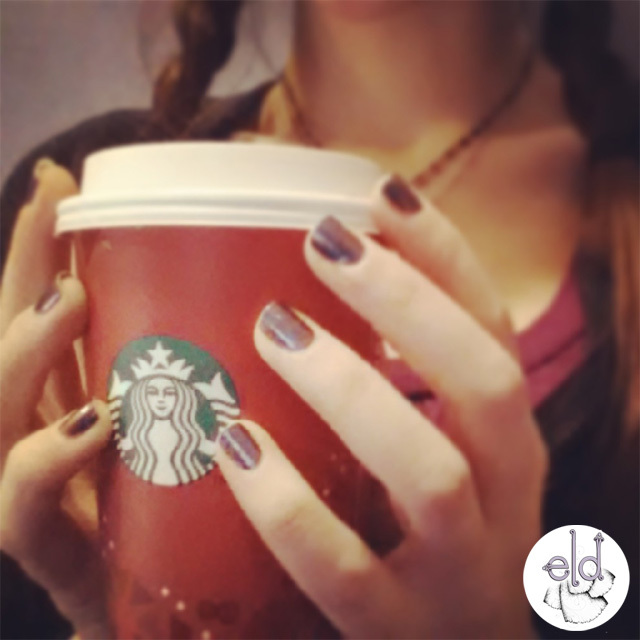 going to Starbucks? Take your own travel mug; it keeps your drink hotter/colder a bit longer, is a bit less messy (at least for us accident prone types), plus it saves you 10 cents! going to the store? take your own reusable bags; you save a few plastics, plus they’re easier to carry, and they look cute. 3. Reuse! we are big fans of reusing old stuff and giving it new life. and why not? it’s an easy way to find a bit more specialness in something preciously used; and breathing new energy into something old really gives one a sense of pride. 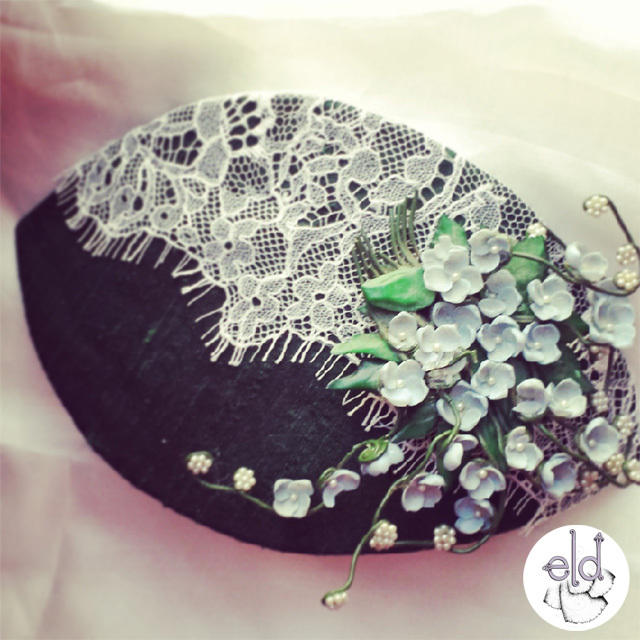 around the house, in the yard, and even in our beloved headpieces. there’s nothing more special than sporting something that bears the charm of something a bit old, with it’s own story and history, and knowing it’s a one of a kind piece that only you have. 4. Plant some green! plant a few herbs or flowers. plant a lot if you have a yard; plant a few if you have a window. but just try it, and we guarantee you’ll love the sense of pride in eating your own basil (really, it’s so easy to grow from seeds in a pot on the window sill!) or enjoying flowers that you nurtured from a seedling. 5. Take the time! take a look around you, and find all the ways the earth has provided us with so much beauty! everywhere we look, we can find it; even in a big city, just take a look at those gorgeous clouds moving by, or that patch of grass with a few stunning wildflowers. it’s truly amazing! if you’re lucky as us Chicagoans, don’t forget that we have a gorgeous lake right at our doorstep; take a walk along the lakeshore path and revel in the natural beauty around you. check out EarthDay.org for some really interesting facts on this special day, which began way back in 1970 (see, we’ve been green for much longer than you thought! ), and how you can do your part. Categories: around town | Tags: earth day, environmentalism, green, love, mother nature | Permalink. one of our all-time favorite hues is back: teal! the perfect blend of blue and green, this rich, delectable hue is always a winner. it’s made a few appearances, accenting our wardrobes over the last few years, but this is the year of it’s true comeback. the color experts at Pantone named mykonos blue one of their favorites for fall, and designers’ fall/winter runway shows sparkled with an array of teal shades. full swing into autumn, we are seeing these blues and greens all over, from head to toe; from the runway to the shops and the streets. why is it the perfect color, you ask? well, who doesn’t love a color that can be rocked by both guys and gals in an equally fabulous way? it can be edgy, girly, bold, sophisticated, or essentially anything in between. the rich jewel tone is flattering in any season, layered with other colors or simply a statement on its own. 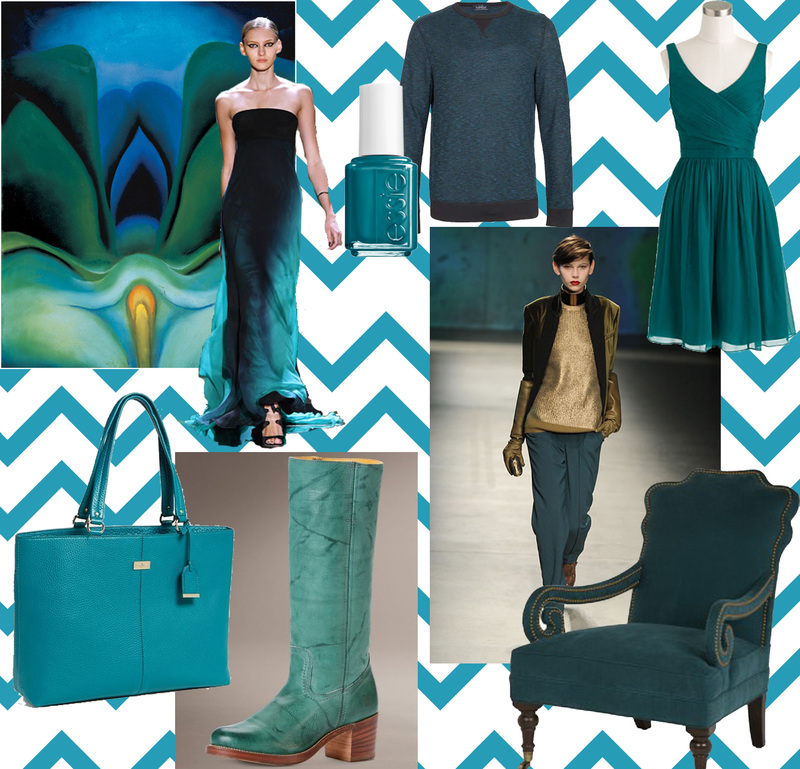 Categories: color theory | Tags: blue, color, fashion, green, inspiration, style, teal | Permalink. that’s a general rule for me, actually. more specific and more recent, though: i was invited to a concert last sunday with a couple of friends to check out an “amazing” singer at the groovy Schuba’s Tavern here in Chi-town. amazing doesn’t begin to describe it. 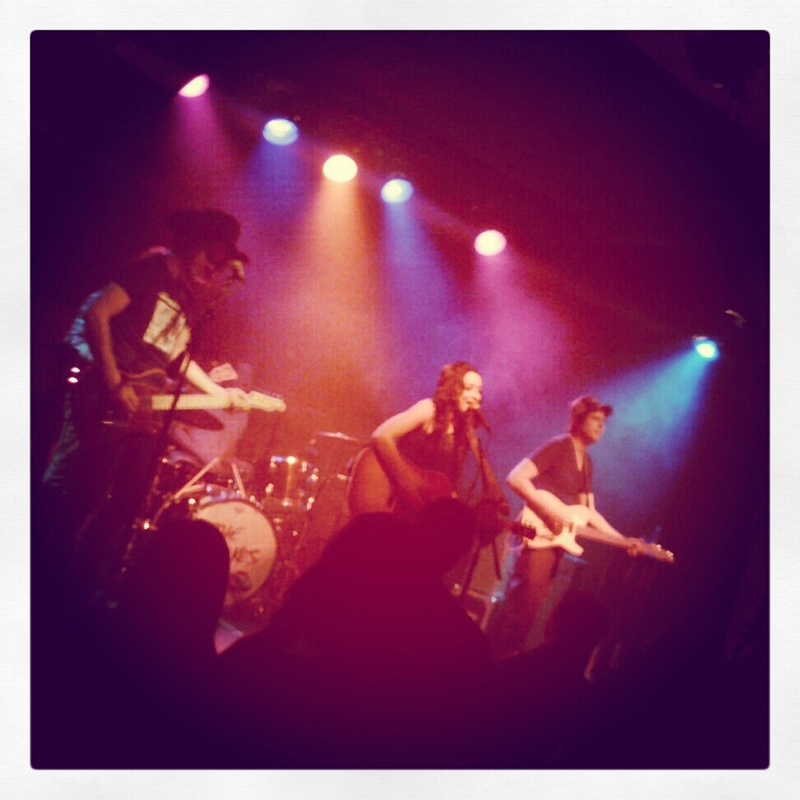 said singer goes by the name Lindi Ortega, and she is unbelievable! great energy, beautiful music, and a killer voice- think Johnny Cash-meets-Patsy Cline-with a-Dolly Parton twang. seriously. the best part- the adorable Lindi loves to sport cutesy feathered headpieces and such (thanks to my friend for letting me know that before the show), and i brought a little something to give to her! got the chance to say hi as she headed off the stage at the end of the show, and gave her one of my fave little feathered headpieces. here’s a pic of the piece. how fabulous would it be if we see her sporting it one of these days!? Categories: Uncategorized | Tags: beautiful, beauty, canadian, chicago, comb, crystal, fabulous, fashion, feathers, girl, green, inspiration, lindi, music, ortega, sparkle, style, teal | Permalink.